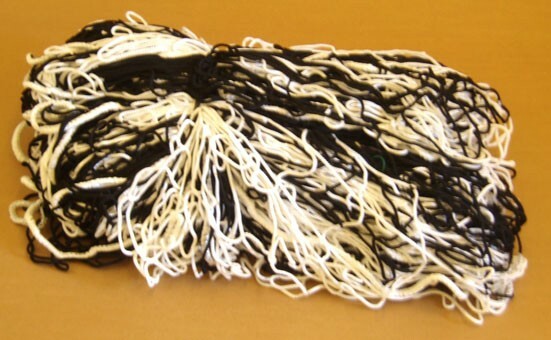 Top quality 4mm knotless senior football nets in black/white diagonal stripe. For full size goals: 7.32m x 2.44m (24' x 8') with international net supports. Will not fit portable or self-weighted goals with short runbacks.Only while stocks last.